The team headed by an IRS officer, deputy commissioner of income tax Vikram Pagaria was assaulted by a group of men led by the firm’s owner Sanjay Bansal’s father Govind Bansal. BHOPAL: A real-life incident resembling the sequence of Ajay Devgn-starrer Bollywood flick Raid has happened in Morena town of Madhya Pradesh. A team of Income Tax department, carrying on search at the premises of an edible oil firm, was attacked a group of men led by the father of the firm’s proprietor on Wednesday. The team headed by an Indian Revenue Service (IRS) officer, deputy commissioner of income tax Vikram Pagaria was assaulted by a group of men led by the firm’s owner Sanjay Bansal’s father Govind Bansal on Wednesday. The team of I-T sleuths and police personnel, which included women also was attacked by Govind Bansal and other men, but the I-T sleuths managed to save the seized material, including vital documents, unaccounted cash and jewellery. According to Morena district police superintendent Amit Sanghi, a case under six different IPC sections was registered on Wednesday only against four accused including Govind Bansal. 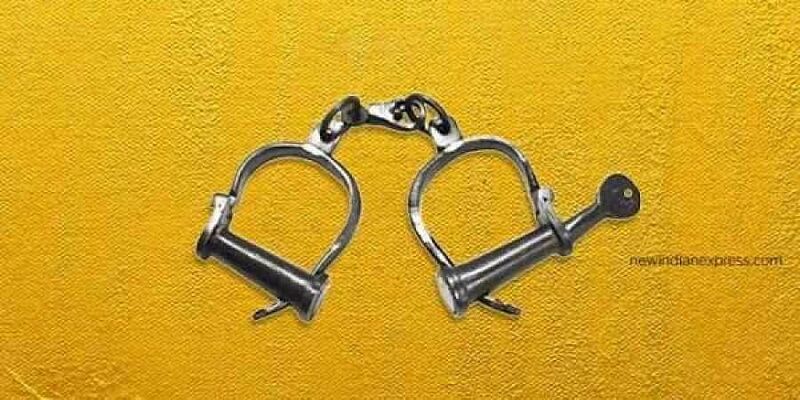 The prime accused Bansal, who is aged around 65 years was arrested by police on Thursday. Sources in the IT department in Bhopal, meanwhile, told The New Indian Express that the search at the premises owned by edible oil firm head Sanjay Bansal started in Morena town on Tuesday. The raids in Morena were consequential to search carried out in the premises of another business group in Pune (Maharashtra). The search in the raided premises in Morena led the tax sleuths to unaccounted cash totaling around Rs 3 lakh, jewellery valued at around Rs 50 lakh and documents containing bogus financial transactions worth around Rs 400 crores over last two years, a major part of which pertained to the period of demonetization of Rs 500 and Rs 1000 currency notes in November 2016. When the oil firm head Sanjay Bansal was questioned about it on Wednesday, he complained chest pain, uneasiness and back pain owing to which he was taken to a hospital in Morena. He later insisted that he be taken to a hospital in adjoining Gwalior. At the Gwalior hospital also, the doctors didn’t find anything abnormal in his health, owing to which he wasn’t admitted there. Meanwhile, back in Morena town, in a pre-planned manner, the group of men led by Sanjay Bansal’s father assaulted the team led by the I-T deputy commissioner for snatching the seized valuables, cash and documents from the possession of the sleuths. Despite being attacked by the I-T sleuths didn’t allow the seized material to be captured back by the assaulting men.